Fancy an Easter break to Belgium this year? You could do far worse than heading to the heart of chocolate on earth to boost your spirits and have a fun get away while the last of winter is gusted away for the onset of spring and summer 2015. P&O Ferries’ Hull to Zeebrugge service will drop you off on the sandy beaches of Belgium, to be best enjoyed when the weather is on your side of course. You will, however, only be a short distance from to the historic town of Bruges, a great centre for sight seeing and slightly more sheltered activities if winter decides to linger. There are events aplenty in Belgium this April and May, whether you’re after a cultural tour, looking to party or plotting a weekend at one of the many beer festivals we are sure you’ll find something to make your holiday perfect. Tournai celebrates easter each Good Friday by hosting their annual Flower Market. 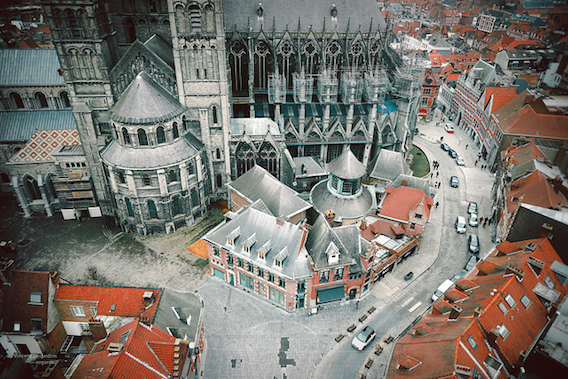 A tradition dating back to 1825, Tournai wakes up early as the stalls open at 6AM. The town’s close proximity to France draws a large diverse crowd of horticulturalists who put on spectacular displays. If you are interested in finding out about new species of plants for your summer garden you’re sure to pick up some interesting tips. Should your accommodation be self catering you can also buy some fresh produce for your evening meal. The Tournai Flower Market erupts in to sound at 4PM as the Municipal Wind Band of Tournai’s Fire Brigade play a concert for the crowd. 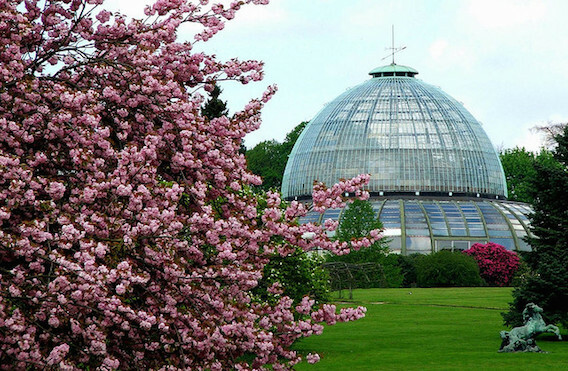 For a short period each year the Royal Greenhouses in Laeken are open to the public. In 2015 they will welcoming visitors from April 18th to May 9th. We highly suggest a trip to Laeken if you are in Belgium over this period. The gardens are an institution and landmark of the country, designed for King Leopold II in 1873. This period was a renaissance for greenhouses, as explorers pioneered across the globe searching out exciting and exotic species to bring back home for sizeable fees. Laeken’s greenhouses have a lot more to offer than your standard flower show. They were originally plotted to be an orangery but now there is a great variety of fruit bearing trees as well as show pieces and endangered species. The greenhouse itself is one of the largest of its kind, and one of the oldest too. As styles have come and gone over the years a lasting imprint has been left at Laeken, you can see the influences from classical to modern in the royal greenhouses’ multitude of sculptures and diaspora of architecture. Technically beer festival season never really ends in Belgium. It’s favourable to attend during the warmer months though; since a beer garden in the sun is a terrible thing to waste. Throughout April and May there are plenty of outstanding tastings to go to starting with the Great Belgian Beer Dinner on April 23rd. This takes place in Grote Huidevettershoek in the heart of Ghent. Not just aisles of beer vendors you get a sit down meal to help you maintain stamina whilst sampling the finest beers Belgium has to offer. Also celebrating its tenth year is the return of Toer de Geuze on Sunday May 3rd. Geuze is a lambic beer (a blend of younger and older brews). Producers of this famous blend open their doors and invite you on tours which show how it all works behind the scenes, with many a tasting to be had on the way. This isn’t a one stop shop there many breweries to be seen so consider it an orienteering exercise, except finding your way will be easy, you can take your own transport, if you wish, and at each stop there will be someone serving beverages. Sounds grand doesn’t it? 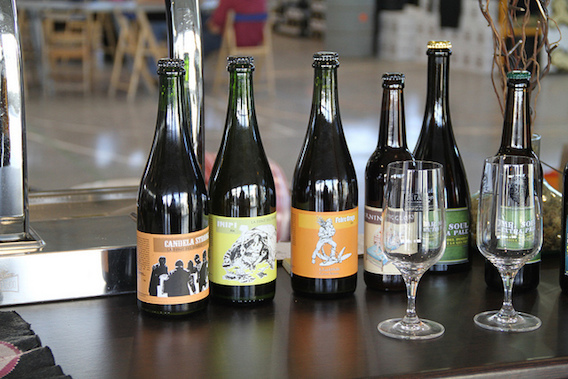 For the Woodstock of beer festivals you’ll want to head towards Leuven, east of Brussels. in Brabanthal, Leuven on the last weekend of April the titan that is the Zythos Beer Festival will be taking place. This event boasts an attendance of over 100 different Belgian breweries proffering an astounding five different different varieties of beer and attendance costs a token 1 Euro. Essentially if getting to Belgium for a foamy weekend is on the cards this is the event to go to. Zythos opens on Saturday at midday and you can take your fill until 11PM then, if you’re up to it, it all starts again on Sunday 26th from 11AM to 9PM. As previously stated there are beer festivals a plenty in Belgium 2015 we’ll update you later in the year for all the other festivals coming this summer.